It is a fact that board games is a trend that is booming and increasing rapidly in the last few years. There are tons of outstanding board games out there, games we spend time with friends and family playing in a board game café. These games come in many types of mechanic, theme, and style. There are plenty of interesting games coming out each year. Let’s start with Gloomhaven, the hottest game of 2017. 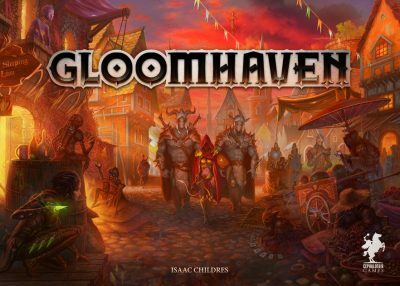 A 1-4 player game, Gloomhaven board game is classified as a classic dungeon exploration game. What make this game popular is the several clever twists to the formula. It’s got strategic combat, a choose-your-own-adventure style book – to add narrative heft between adventures – and best of all, it’s a legacy game. That means you’ll physically change your own copy as you play, until it becomes visually and mechanically unique to you and your group. This 2-4 player fantasy game Near and Far is a reworking of 2015’s Above and Below, a surprising blend of resource management and storybook. 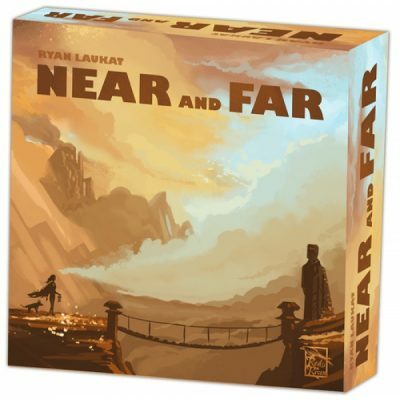 Near and Far throws exploration and adventure into the mix. It also has improved the writing and mechanics of the previous game, creating something smart and fresh. Heroes need to carefully balance their selection of equipment and provisions in town. They travel to the wilderness, strike camp and take up quests. Between the illustrated atlas and the book of stories, playing Near and Far builds a potent and palpable sense of place. This 1-6 player board games’ lengthy background fiction, which add depth and detail to the narrative, dates back to 1985’s Tales of the Arabian Nights, and surely even earlier. But they are becoming one of 2017’s ”big things”. 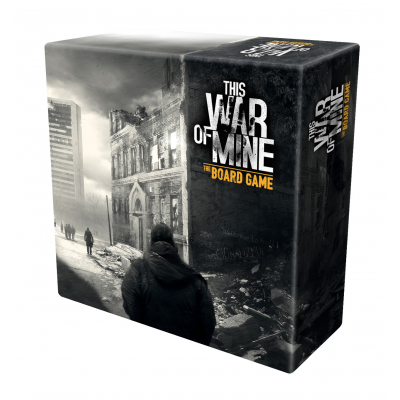 This War of Mine, an adaptation of the video game, is another example of using extended fiction to great effect. In many respects, it follows the mechanics of the original. Players cooperate to survive in a war-torn city by improving their shelter during the day and scavenging for supplies at night. But the added richness from the storybook and the social dynamic of playing with friends lends extra emotional gravity to proceedings. Given the bleak scenario, it can be a roller-coaster ride. Let’s lighten the mood with some lighter fare – not every hit new game is a bleak battle for survival. 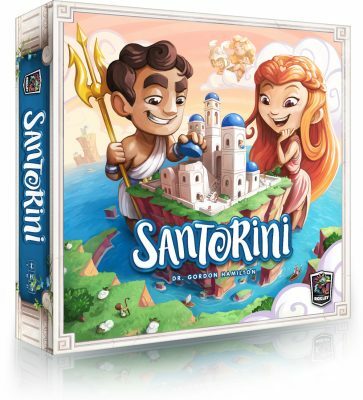 The basic version of Santorini is a simple but devilish family abstract. Players race to build towers, but the trick is that well-placed buildings can box in your opponents while also advancing your own citadel. What catapults the game into a red-hot territory, though, is the ‘god powers’ variant. This gives each player a unique way to break the rules, making for huge replay value, and gives the game as a whole a shiny layer of a mythical theme. Although printed in 2016, this won 2017’s most coveted gaming award, the Spiel des Jahres. 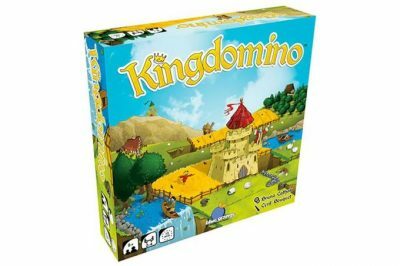 This German prize seeks to reward accessibility and inventiveness in game design, and Kingdomino has both in spades. It’s based on the classic end-to-end piece matching of dominoes. But rather than a shared number grid, you use pictures on the pieces to build your own kingdom. Clever piece-selection and scoring rules add considerable depth for only a little extra effort. It’s family-friendly, but the shallow learning curve makes it fearsomely addictive for players of any age. A more challenging stand-alone variant, Queendomino, is due later this year.